Mexico forms a natural bridge between North, Central and South America, giving the country a strategic position both economically and politically. The country is currently the second largest economy in Latin America, and it manufactures and exports the same amount of goods as the rest of Latin America combined. This economy has a vast domestic market of over 128 million inhabitants. With a numerous amount of free trade agreements, the country provides a developed international trade market. The recent political reforms and economic development offer infinite possibilities for Dutch companies. The leftist-nationalistic president Obrador was elected with a majority of the votes and causes a lot of economic and political commotion. Obrador stands for taking down corruption, and making Mexico more self-supporting and less dependent on their northern neighbors. At the moment, the future of the North American Free Trade Agreement (NAFTA) is quite uncertain. A disintegration of this agreement will offer opportunities for Dutch entrepreneurs in Mexico. Therefore, now is the time to expand to Mexico. Mexico consists of 32 states with their own individual possibilities in different sectors. 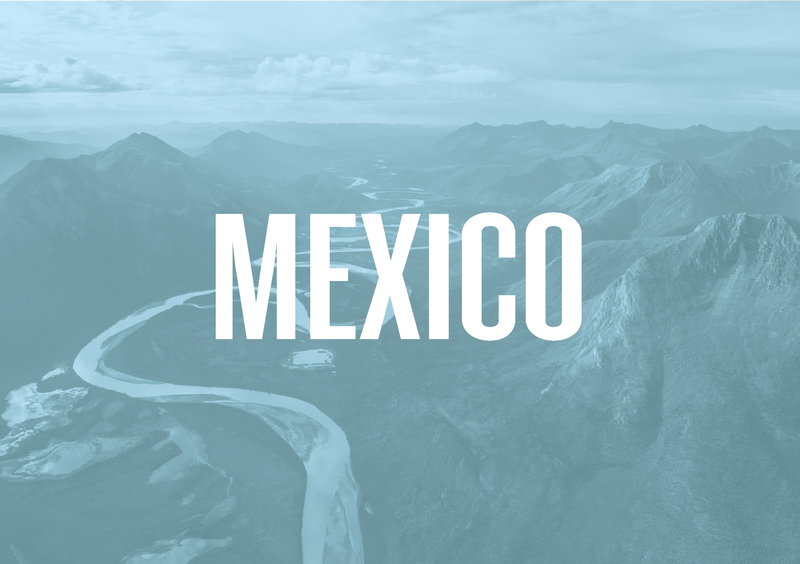 It is expected that the Mexican economy will continue to grow steadily at a yearly average of 2.7% GDP growth, resulting from the improving manufacturing and services sector. Promising sectors around Mexico City, Guadalajara, and Puebla are the industry and trade sector. However, the opportunities in Mexico go way beyond these areas. Numerous possibilities can be found in the rest of Mexico in the agriculture and livestock sector. Investments are also being made in the energy sector in order to find renewable solutions. To stimulate this, the transport infrastructure has to be upgraded. The Mexican government is investing in infrastructural and maritime projects, which improves the economy and offers diverse opportunities for Dutch companies. Additional possibilities can be found in the pharmaceutical & health sector, telecommunications, retail, agriculture, the aerospace industry and the automotive industry. Would you like to discover the chances for your company or organization in the Mexican market? With a tailor-made research and 30 years of experience, IBR would like to help you to investigate the possibilities for your organization in Mexico.